A fractional reserve of the total deposits of all the depositors of a bank must be kept in the liquid form. Rest of the deposited money is either lent to the borrowers or invested in different options statutorily available to the bank. 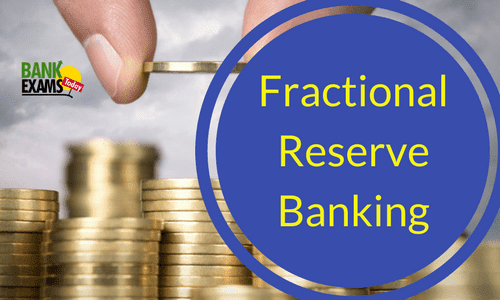 The prime motive of keeping fraction of the deposits as reserves in the banking system is to make available cash to the depositors, as and when they need money, without any delay. FRB is a banking business model. Every bank has to calculate some reserves out of the total deposited funds. Just for example, let us assume that a bank “A” has total deposits of Rs. 100 Crores. Bank “A” keeps cash as reserve to the tune of Rs. 10 Crores @ 10% and issues the balance Rs. 90 Crores to client X. In case X does not withdraw the money immediately, bank “A” keeping the 10% reserve of Rs. 9 Crores of Rs. 90 Crores lends to the tune of Rs. 81 Crores to client Y. And this process continues and that is how the system of FRB functions. Banks lend more money than the actual original deposits they have by using the FRB route. FRB has now become a part and parcel of the banking system all over the modern economies across the globe. FRB is practically running pretty well although theoretically it appears to be fearsome and frightful. Banks earn more profitability through extension of the funds and the country also stands to gain due to the more productive utilization of the country’s funds. The fundamental assumption at the back of such functioning is that not all the depositors would opt to withdraw their money at any given point of time. Now just imagine any such thing happens due to any financially panicky situation in the country as a whole or about a particular bank due to strong rumour mongering and the majority of the depositors of banks queue up outside banks for withdrawal of their deposits; the bank/s would surely default in making the payment. The currency supply went down all of a sudden due to nearly 86% of the country’s currency being demonetised and all the banks defaulted on account of repayment to the depositors and the RBI had to impose restrictions on daily, weekly withdrawal limits and image of the banks was thus saved to a great extent; otherwise there would have been complete chaos and mismanagement. New deposits are thus created out of the funds issued as loans. This way not only the Bank “A” as mentioned in the example but practically any of the banks can face the risk of liquidity if a major chunk of the depositors opt for withdrawal of their funds at a given point of time. Banks are custodians/guardians of the funds deposited by the depositors. 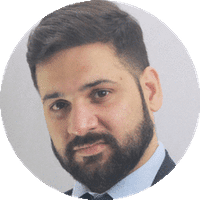 Banks play with these funds, though strictly as per the legal methodologies, for enhancing their overall profitability and FRB is just one such method. Ultimately, the stakes of the banks in the game may go higher and they may become even vulnerable. The role and the responsibility of the Central Banks of different countries become quite crucial and significant. 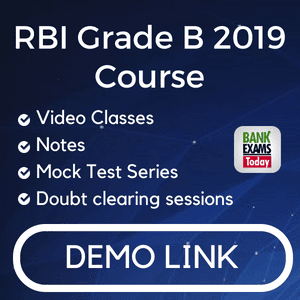 For example, in the USA Federal Reserve and in India Reserve Bank of India have to keep a hawk’s eye on the Cash Reserve Ratio (CRR) and Statutory Liquidity Ratio (SLR) to take care of the liquidity of the banking system as a whole in order to safeguard the funds of the depositors. The Central Banks of different countries have to shoulder the greater responsibility of regulating the amount of hard currency with the banks and their overall deposits. The ratios of hard currency i.e. physical cash have to be changed from time to time for the entire banking system of the country including various regulations on particular banks for the safety of the banking system of the country. The central banks have to ensure that there is NO overextension of the deposits by any bank which may cause it to become vulnerable to collapsing. The more the CRR and the SLR (Statutory Liquidity Ratio), the less is the risk of bank failure and vice versa. Current Cash Reserve Ratio (CRR) in India is 4.000%. It has been maintained at this rate of 4.000% since February 09, 2013. The highest CRR in the economic history of India had been 15.00% on 08.10.1992. Current Statutory Liquidity Ratio (SLR) in India is 20.50%. It has been maintained at this rate of 20.50% since December 10, 2015. The highest SLR in the economic history of India had been 38.50% on 22.09.1990.